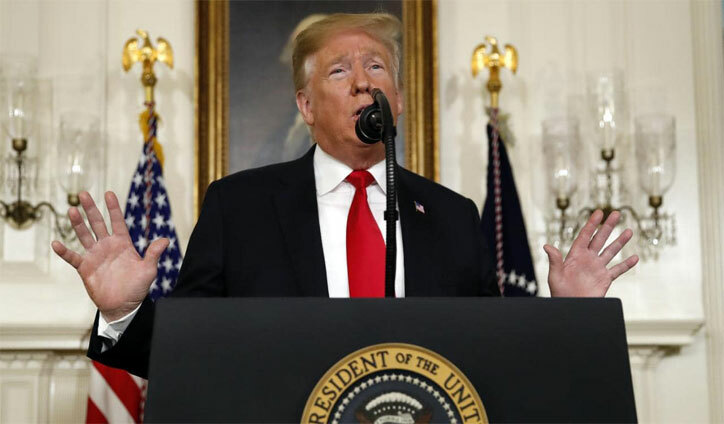 International Desk: US President Donald Trump has set out new plans on his Mexican wall project to try to end a partial government shutdown lasting more than four weeks. One of his "compromises" was on so-called Dreamers - who entered the US illegally when young. He still wants $5.7bn (£4.5bn) to fund the wall. The president started by saying the US had a proud history of welcoming migrants, but that the system had been "badly broken for a very long time". He said he was "here to break the logjam and provide Congress with a path forward to end the government shutdown".